Back in skinny jeans: What's next in diet fads: In Japan, it's the "Morning Banana Diet"
What's next in diet fads: In Japan, it's the "Morning Banana Diet"
Over the past 4 months, demand has driven Dole Japan to increase its banana imports by upward of 25%, and even then supplies could not keep pace with demand. "In a way this is an emergency," explains Hiromi Ohtaki of Dole Japan. "We've been importing bananas from the Philippines for the past 40 years, but this is the first time something like this happened to us, and we find it very difficult to cope." In 2007, Japan imported 970,000 tons of bananas, and this year because of one diet fad, people are eating the country out of bananas. I find it mind boggling that a diet craze can affect an entire industry like this, and create a shortage in the grocery stores all just because people want to get skinny. And what makes the banana so magical since this fruit has some of the highest sugar content of all fruits? In fact, many diets in the US, say to avoid the banana because of the high sugar. 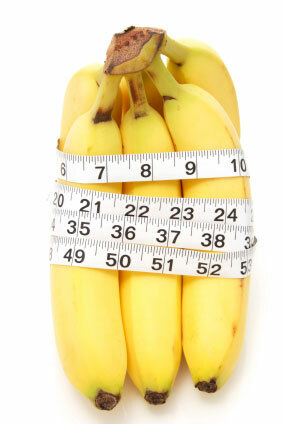 It almost seems that you could replace the banana with any other fruit and get the same results? Any nutritionists in the blog house got insight? Now, I'm not just harping on the Japanese because here in the US we too can move entire industries to their knees just because of a manic desire to skinnify. The crazy conspiracy theorist in me sometimes even wonders if these fads are planted so that certain industries and businesses can become rich because they know the general consumer public can be so easily swayed and manipulated when it comes to weight loss. And we're all guilty of buying into diet fads to some degree especially come New Year's resolution time of year which, hello, is a little over 2 months away. Yes folks, prime dieting season is almost here. So, what diet trend you think will be hot come this January?